The staff at my municipality have started a leadership book club that meets monthly over lunch. It is a really neat idea, and this month I decided to participate. 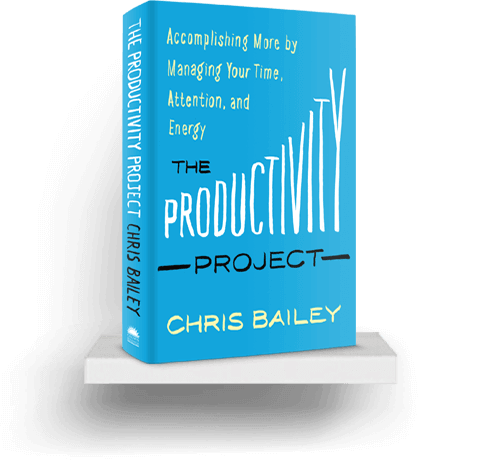 The book of choice for this month was Chris Bailey’s The Productivity Project. For the most part, I am a productive person, and don’t read books like this myself since I don’t have a lot of productivity concerns. That aside, this was a nice, quick read full of useful advice. I was able to read it in about two and a half hours, but that was without completing any of the activities in each chapter. The author took a life-long fascination with productivity to an interesting extreme when he took a year to research productivity and run productivity experiments on himself. This book was written as part of that project (hence the title) and the author’s accessible writing style, and great set-up for the book made for interesting reading. Many of the tips and advice in the book won’t be new to people who have been in the workforce for any length of time, or done any reading on organization, time management, or similar topics. It split most advice into 3 areas of concentration to be more productive: time, energy, and attention. All of the author’s tips worked on how to manage balance and focus in those areas to maximize productivity in both your work and personal life. I especially enjoyed his writing on procrastination. And generally be more mindful when completing tasks and moving about my day. I’d recommend this book for anyone interested in productivity since it is such an easy, quick read, as well as for the addition of activities. Recently I decided to replace my tablet and laptop with a Microsoft Surface 3 (more about it some other time). One of the deciding factors in choosing it as a device was the ability to run an Android system on demand. How? AMI’s DuOS. This program allows you to launch android on a Windows machine, and on a Surface, it looks like a regular tablet experience. You can add the official Play Store easily, and then download and run all of the apps that you might want. There is a free 30 trial, with Version 1.1 (Jellybean) costing $10 US, and Version 2.0 (Lollipop) costing $15 US (currently about $20 CAD). They do have frequent opportunities to win a full license, which I did, but I would have paid for the full license without any reservation. They have an active support forum, and some good videos as well. The main issue that I’ve encountered so far is that sometimes it doesn’t launch full screen, but I think that it might have something to do with available memory. But, I’ve had fun exploring, and highly recommend this software for everyone who likes the Android system but also wants to run Windows. And Digital Trends just published a AMI DuOS review as well. Do you ever read a book that you really, really want to love, but can’t? 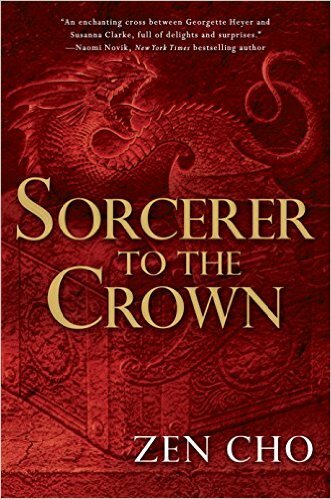 Zen Cho’s Sorcerer to the Crown is that book for me. There was a lot that I loved about it: the characters – fully formed, complex, flawed, and clever, the world (most important to me)- alt-England where magic is real, if fading, and fully part of society, and the plot – see fading magic. With more to love, like the discussions of gender and race politics, and class. I knew from reading the blurb before it was published that this should be a book that I should love, and was eager to read it. But, I didn’t. Over the last two months I’ve struggled to put into words why I didn’t like it. Why it was a book that I might recommend to some, but would never re-read, and there are a lot of people that I wouldn’t recommend it to. And since no one I know has read it, it has been a solo struggle. But, I’ve figured it out. There are 2 reasons that the Sorcerer to the Crown wasn’t for me, and might not be for you. “Alt-Regency” this book, in additional to the other aspects, is an imagined alternative to the Regency genre. I have never read any regency fiction as the prose is written very densely, and is distracting from the story. Also, boring. This book is literature, and reads like an intellectual exercise. A little bit like why I really, really disliked Grossman’s the Magicians, it doesn’t feel like a story, more like a bunch of component parts (I want my book to have ingredients A, B, and C, but not D – make D the opposite!) and less about building a compelling story. And, because of that it feels elitist which turns me off immediately. tl;dr despite looking on paper like a great addition to the fantasy genre Sorcerer to the Crown is actually literature, which isn’t my cup of tea. It’s been awhile since my last post, and it is mostly because I feel overwhelmed by the thought of posting something interesting, or “good”. So, instead of worrying about that, I’m going to post things that work for me. A book series recommendation is on the docket today. Do you like science fiction? Fantasy? Do you like the idea of reading about an IT nerd mired in bureaucracy and Lovecraftian horrors? If so, the Laundry Files by Charles Stross are here for you. 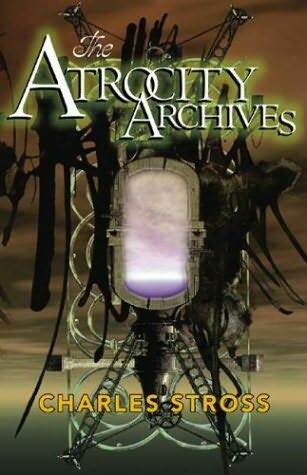 Starting with the Atrocity Archives, you are introduced to Bob Howard, part of IT support for the Laundry – a British organization here to save us from unknown horrors. He is looking to become a field agent, but then things get complicated. The plot is complex, but not overly complicated, and any clichés are included with tongue firmly in cheek. And if you are interested, I’d highly recommend trying the audiobooks, they are what I’ve been “reading” and the reader, Emery Gideon, is great. I am a bit late to this party on this, but podcasts are great. There is just something about short form audio shows that is pretty great. I started with the incredible show Serial, and nothing has been the same since. What became obvious once I started finding more shows to listen to is that I needed a way to manage them and keep track of new episodes without having to think about it. 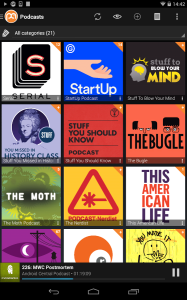 Settings > Update: includes the option to automatically refresh your list of podcasts. There are tons more settings, but those above are the ones that have helped me so far. As a Vancouver resident who has spent quite a few years in post-secondary education, even with a excellent job, budgeting is necessary. And technology is here to help with this. I found out about Mint at one of our staff “App Chat” sessions, and then proceeded to forget about it until recently. There are levels to using the service, but basically you link your banking information and let it sort transactions into categories to aid in the budgeting process. 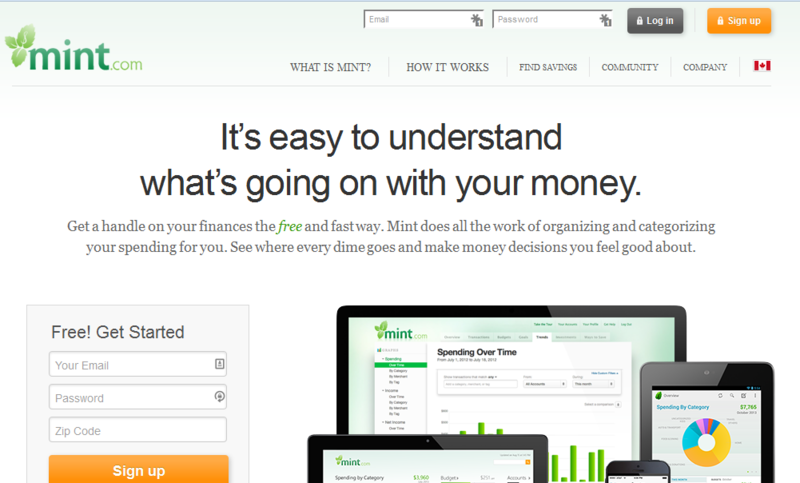 Mint is easy and intuitive in design. And even if you use it only to keep track of expenditures, it is likely to be very useful. One consideration about this app/service (and ones like it) is that you are putting a lot of trust in a third party. This is something that many have decided to allow, but make sure to use a strong password. Written in Red by Anne Bishop. I love Urban Fantasy. And Anne Bishop’s Black Jewels Trilogy is still one of the best examples of world-building that I have ever read. Bishop is a master of building worlds that deal in interesting ways with gender, race, class, and person-hood. The Black Jewels trilogy focused on violence against women and how dangerous misogyny can be. In Written in Red the first book in a new series, we get new issues to explore and re-interpret, and think about. Race, land rights, the drug trade. Of course, there is also magic, vampires, werewolves, assassins, intrigue, and more. 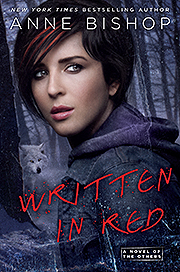 Written in Red is fast-paced, with rich, interesting characters, and a mystery that keeps the pages turning. In Written in Red we are given a world that almost is like our own, but subtlety different. There is technology – cars, computers, etc. But we are also given the “Others” non-human creatures who want access to human technology, and control natural resources (even the weather) there is a lot of tension, and politics. I loved it and can’t wait to read the next book. As I’ve mentioned before, part of my job is keeping up to date. Which involves a lot of technology blogs, but I also like to keep up to date on blogs around working in libraries, project management, change management, and sometimes managing libraries (I have dreams). 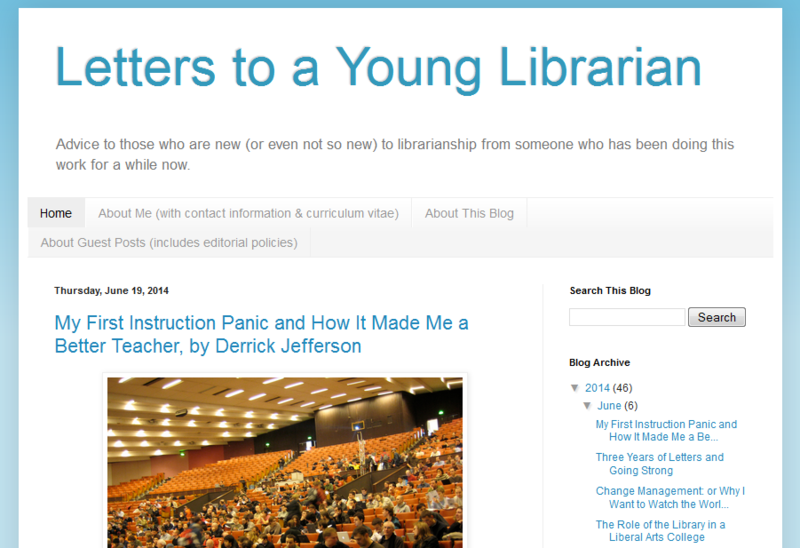 This is a quick hit, but you should be reading Letters to a Young Librarian. It is an absolutely fantastic blog about working as a new librarian. There are lots of fantastic topics covered that are funny and full of good advice. The tone of the articles are welcoming and the guest posters are covering a lot of great topics right now. 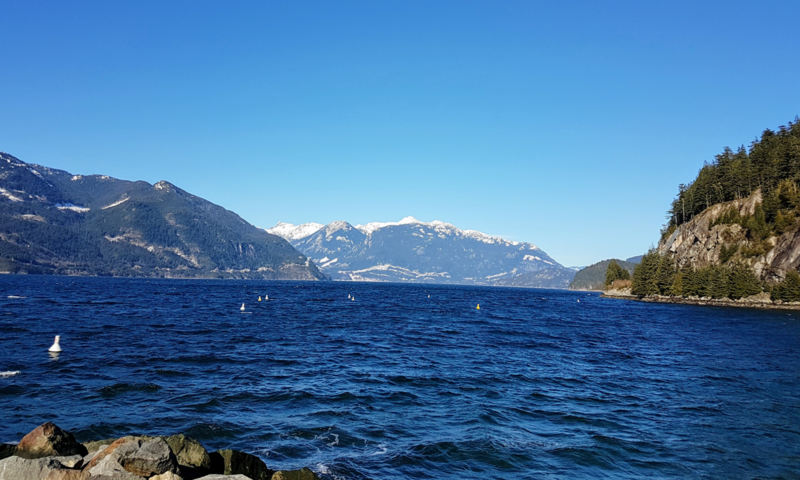 Add this blog to your professional reading list. There are a lot of lists about best books floating around, but as a technology librarian (and near-millennial) – I’m not limiting my stories to one format. Here are my top ten stories of this year. My new obsession. I want to read all of the books about prohibition and the suffrage movement. HBO is known for high production values, incredible casts, and great writing, and Boardwalk Empire doesn’t disappoint. If you love history, anti-heroes, and excellent costuming, try this show! These shows are all great for fans of fantasy and science fiction. All too often over the past few years, science fiction and fantasy shows have been dark and depressing. But not these shows, fun even when serious, they are great fun. Borrow them from the library! I actually read this in over the holidays last year, but it is a fantastic book. Huge in size (a bit of a coffee table tome), there are so many little archival details and wonderful anecdotes that you will end up reading every page, and learning about hockey’s place in our culture. Another sport book made my list! I have a fondness of sociology, psychology, and cultural studies, and this book uses these lenses and more to explore the sports fan. Each chapter looks at a different aspect of the sports fan, and all are engaging. A co-worker put this book into my hands and told me to read it. While this tactic doesn’t always work for me, but this time, I took the chance. Once I started readying I couldn’t stop. This is a coming of age tale of a college freshman who escapes into her rewarding fannish life to avoid the real-life difficulties of growing apart from family. Intelligent Dragons during the Napolenonic War. This is the 8th book in the series which has spanned continents and explored the topics of equality, loyalty, and culture. While this song was released last summer, this summer the music video for this upbeat song kept me smiling. I didn’t go to the movie theatre often this year, but I did get to see Elysium on the big screen. I am always looking for good science fiction, and Elysium is excellent science fiction. A vivid dystopic about reaching for the stars (or the”good live”), the fine details of this movie caught my attention. The world-building for this movie is fantastic. Watch it. Best new show on television. That is if you like well-rounded female characters who are self-assured, . Also, supernatural beasties, dudes that have been asleep for 200 years, and terrible, terrible mythology. Watch it for the great representation and Nicole Beharie. 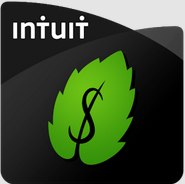 There are lots of apps that I find fun or useful. Pocket is an app that is both. 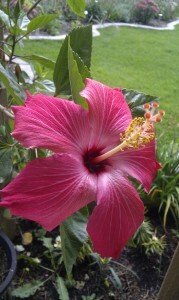 Also available as a web app, you can save webpages, images, and videos for offline reading/viewing. Mark items as read and they disappear from view – but if there is an internet connection, you can retrieve archived items. Pocketed items can be tagged into categories for easy retrieval as well. I find this app incredibly useful when reading long articles, or when I might want to do some bus reading. Articles can be viewed as they would be online, or as a PDF-like “readable”view. An account is required, but you can export your pocketed information, and with very few clicks clear your data and delete your account.